Buying a new home is probably the biggest investment you'll ever make and it is a decision that will affect you for years to come. The process can be extremely stressful and confusing. A professional Home Inspection will significantly reduce your risk and help make the entire Home Buying process easier and less stressful. The objective is to provide each Home Buyer with numerous benefits from the Home Inspection and gain the optimum understanding of the systems within your future home. 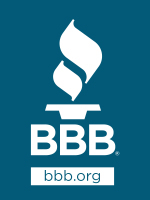 You will receive a comprehensive Home Inspection report that is easy to understand. Everything identified during the Home Inspection will be included in the inspection report. Armed with the information our Home Inspection report will provide, you can make your decision with increased confidence. Mold can certainly cause health problems and even make a home uninhabitable. However, everyone is affected differently when coming in contact with Mold. A Mold Inspection by Inspection Xpress involves the most thorough and comprehensive Mold Inspection and Mold Testing available; using state of the art Mold Assessment procedures and equipment to completely evaluate the Indoor Air Quality of your home or business. A visual Mold Assessment, appropriate sampling techniques and protocols are used to Test for and determine the cause and symptoms associated with a Mold Problem. 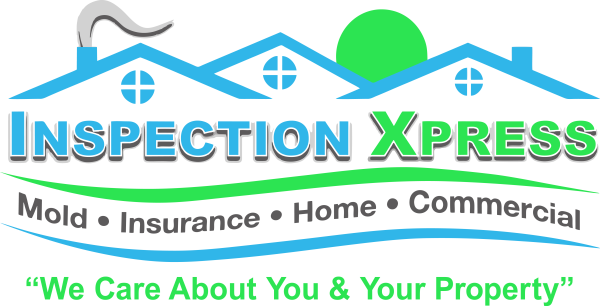 Inspection Xpress utilizes and adheres to the approved Citizens Insurance Inspection Form exclusively which has been adopted by every Insurance company in Florida to date. The Inspection form provides brief, direct responses to all the questions required to satisfy the Insurance industry today. The Insurance Inspection form is uniformly presented and precise to assist the Insurance agents with expediting the process to completion. The insurance companies use this information to decide if they are comfortable writing the policy. Used to verify condition & age of features. Wind Mitigation Inspections may qualify a property for discount on Windstorm Insurance. These discounts reward those who have wind resistance features on their property that decrease the amount of damage that may occur during a Windstorm. Less Windstorm damage equals fewer costs to Insurance companies. These savings are passed on to the Homeowner in the form of Wind Mitigation discounts. An 11th Month Warranty Inspection is conducted specifically to benefit new homeowners that have lived in their residence for slightly less than one year. Builders and selected subcontractors typically extend a one year warranty to the first/new homeowner covering many aspects of a new home. An 11th Month Warranty Inspection creates a detailed "punch list", where items that need attention are called out. This punch list might then be discussed and shared with the builder before the warranty period expires. Home inspections have the power to send all parties back to the negotiation table. As such, savvy sellers are taking the precautionary step of having an inspection done before listing the home for sale. Real estate professionals say that having a home inspection prior to listing can offer many benefits to the seller. Sellers who have a home inspection upfront also can identify any major problems that could potentially derail a sale later on at the closing table.